STEERING COMMITTEE NOMINATIONS DUE AUGUST 30. If you new to the OWA - there is no better way to get to know the members than attending our annual retreat. If you are a “seasoned” member, you know how much fun and camaraderie there is among our group. The weekend includes a professional development program, art project, delicious meals, stimulation conversations, yoga, dancing and more. The professional development program will involve a process to uncover our unique strengths. Through our own personal advance work and a guest speaker we will be working with the book StrengthsFinder 2.0 by Tom Rath which will help each of us to discover and define our top five talents. Prior to the retreat, please complete the on-line assessment from this book, using each book’s unique code. Once you complete the assessment, you will be sent an e-mail with a list of your five greatest strengths. At the retreat we will have a short presentation about StrengthsFinder and then do activities showing us how to better utilize our own individual strengths in our daily activities, wherever we are in life. To obtain the pre-retreat assessment, it will be necessary to purchase the book which is available from Amazon.com and other booksellers for about $16 with shipping. It covers hundreds of strategies for applying your strengths. The weekend retreat (Friday 4pm through Sunday afternoon) costs $325, including accommodation, all meals, and the program. For Saturday only, the cost including 3 meals is $225. Indoor camping is available at a reduced rate of $250. 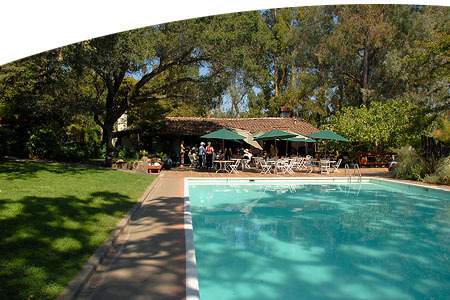 Extra day option: arrangements may be made directly with Westerbeke Ranch for extra night(s). OWA membership is not required to sign up, but we encourage participants to become members. For only an additional $25 – you can become a member! The XVII Pan-American Bienal of Architecture, Quito, Ecuador BAQ 2010 invites all design professionals to participate in this international conference and design competition. This year’s Bienal theme is “Architecture, Breaking Down the Borders”. The BAQ 2010 will take place in Quito, Ecuador, one of the cities nominated by the UNESCO as a World’s Heritage Site. The Bienal includes Pan-American and International Design Competitions, a Symposium, Conferences, Architectural and Art Exhibits throughout the City, and other complementary activities. There are several categories in which you can participate, sending built projects completed during the last four years to enter the international design competition. The deadline for the submittals is Friday, October 29, 2010. All projects submitted will be published in the book of the BAQ 2010. Supper Salon in San Francisco - Not happening until further notice. Supper Salon in Berkeley - Informal East Bay dinner the second Wednesday of the month at “Gather” on Oxford Street in Berkeley. All are welcome to enjoy an informal small group environment. Check the forum for the next date. NOMINATIONS ARE OPEN TO FILL THREE NEW STEERING COMMITTEE POSITIONS. Consider nominating yourself or others to serve a 2 year term beginning in December 2010. Nominations are due Aug. 30 and will be voted on at the October 19, 2010 Annual Business meeting. This is a wonderful opportunity to share and act on your ideas for enhancing programs and activities at OWA. Read below for details. Over the past six months the New Steering Committee has met over four times and has discussed many important and substantial additional programs to meet the OWA goals. It has been a rewarding and fun experience. However, it has become clear that to meet our objectives we need additional Steering Committee Members to maintain and grow the organization. The Steering Committee has decided to increase the number of Steering Committee Members from five to a total of seven and are requesting that members nominate or self nominate “members in good standing” to begin a two year term beginning on Dec 2010. As Judy Rowe’s term will be ending at the end of this year, the membership will be asked to vote three new members onto the Steering Committee. Judy has graciously accepted the responsibility of remaining as the Treasurer. By August 30th, 2010, 45 days prior to the annual meeting, all nominees shall submit a one paragraph biography and a one paragraph statement of why they would like to serve on the steering committee. These statements will be sent out with the annual meeting agenda and posted on the OWA website for member viewing. Steering Committee duties shall be detailed and posted with the call for nominations at least 90 days prior to the annual meeting. Nominations of members in good standing may be made at the annual meeting. The member nominated at the annual meeting must be present and in agreement of the nomination. The Steering Committee shall be composed of 7 OWA members in good standing. They shall have two year terms. Each year there shall be an election for three or four new Steering Committee members to fill the vacancies of the three or four Steering Committee members rotating off the committee. Steering Committee members shall serve not more than two consecutive terms. Plan and coordinate 6 event meetings, two of which include the annual meeting and the December Holiday gathering. Membership Coordinator: Administer membership applications, renewals, and database. Enter new names into database. Coordinate with health plan liaison status of members and information as to whether they are in good standing and dues paid up. Coordinate mentoring program. Finance Coordinator: Track income and expenses and prepare monthly financial statement for Steering Committee and annual meeting review and approval. Coordinate the filing of annual tax return. Ensure business documents are filed properly with financial institutions and the state. Administer scholarship program if program is offered. Prepare and publish the monthly newsletter for online distribution and web content. Solicit membership for relevant content contributions, photographs and announcements for publications. Post the calendar of events in the newsletter. Post the Steering Committee approved minutes in the newsletter. Coordinate the planning of the annual retreat for the general membership. 	Arrange for membership applications to be at event and OWA brochure or newsletter, and cash for change for event fee. 	Provide or arrange for introduction about OWA, speaker and members in attendance including steering committee. Policy and Procedures Coordinator: Establish annual review process of policies and procedures, coordinate membership discussion and comment on policies, procedures or bylaws and prepare for annual meeting approval vote on revisions or amendments. Detail duties of steering committee positions for nominating process. Prepare notification, agenda, nominating and other business materials for the annual meeting. 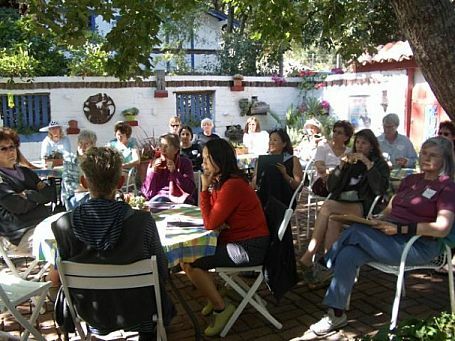 Coordinate the annual planning retreat for old and new steering committee members. Information Coordinator: Oversee website development and maintenance. Respond to inquiries from the website. Ensure that website is dynamic, well designed, responsive and current. Coordinate surveys to the membership. Special Events and Benefits Coordinator: Coordinate the flow of information and business between the Steering Committee and the Board of Directors, the Health Plan Liaison, and the Retreat Coordinator. 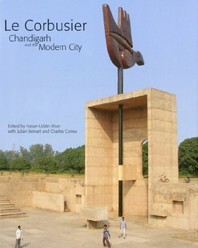 OWA member Sandhya Sood, principal of accent architecture, has co-authored a recent publication of Le Corbusier, Chandigarh and the Modern City, edited by Hasan-Uddin Khan with Julian Beinart and Charles Correa. Her contributing essay, Housing in the City, evaluates several aspects of the urban housing for the changing pattern, its success and shortcomings today, fifty five years after the inception of this iconic ‘modern’ city in India. Chandigarh, associated with Le Corbusier, arguably the most eminent architect of the 20th century, has become an important model of modern city planning. Waverly Lowell and Elizabeth Douthitt Byrne just completed a book on the history of the UCB Architecture Department. There are quite a few articles by and about women architects. This illustrated monograph of approximately 370 pages combines scholarly essays written by faculty about the development, contributions, and future of the program; reflections of faculty and alumni about their experiences here; a timeline/chronology; lists of key people and contributions; a color portfolio of a century of student drawings; and appendices of architecture faculty. It is intended for alumni, students, faculty, architectural historians, and the general public. Approximately 18 individuals attended the presentation by Brian Quill of John Deere Green Tech provided an overview of Rainwater Catchment Systems and featured a case study the Claremont Middle School project designed by Golden Associates for the Oakland Unified School District. Draft #2 of the OWA Policies and Procedures has been posted on the Forum at the OWA website. You need to log into the website to access Forum articles for members only. If you have forgotten your password, contact the webmaster who will send it to you. 1) Briefly summarize your professional experience and areas of expertise. 2) What are your values and interests? Source of inspiration? 3) What do you do for fun? List your favorites: books, websites, designers, travel destinations??? Also, please be sure that your address information is current, so that you can connect with other local professionals. Finally, if you would like to participate in the mentorship program, make certain that you indicate your interest by checking the appropriate box under your profile! Please contact Karlene if you have any additional questions but we have tried to make this as easy as possible to allow our membership to connect with each other independently. The OWA has been pleased to offer medical insurance to its members (women and men) for over 25 years. Our plans are available to women and men, individuals and firms, in architecture and other design fields. The plans allow individuals access to a group coverage which can offer significant advantages over an individual plan. They do not include dental coverage. theonepercent.org is a San Francisco based non-profit organization designed to connect other non-profit organizations with designers willing to provide pro-bono services. 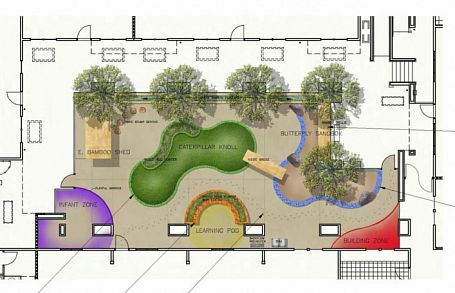 After registering on theonepercent.org web site, Golden Associates was contacted by the Bridge Building Child Development Center in West Oakland to help design a roof garden for their Child Development Center. By volunteering our time, not only are we providing needed services to underprivileged youths but we have been asked to be the LEED certifying agent! Totally a win-win proposition! It has been a wonderful experience working with dedicated individuals working to improve the lives of this underserved community! I encourage anyone interested in volunteering their professional services – to register their work on www.theonepercent.org to be connected to other non profit organizations needing design assistance.